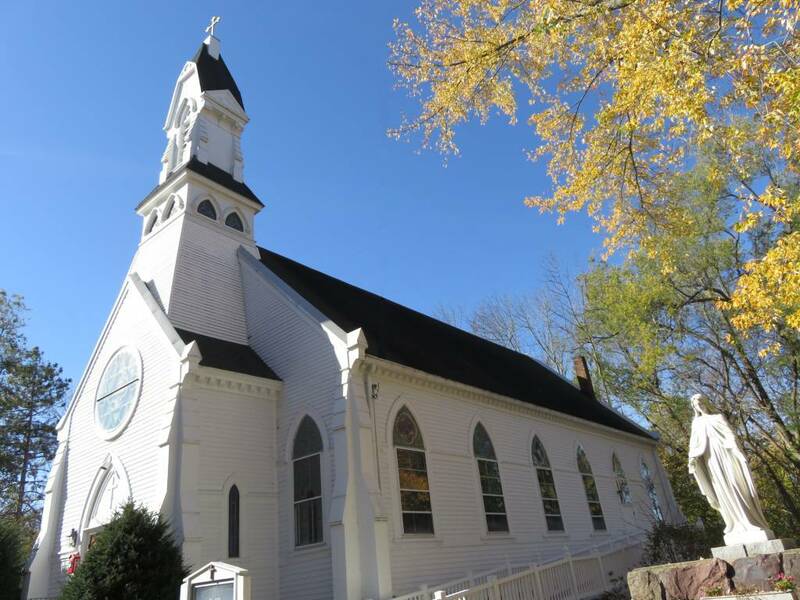 Holy Redeemer Parish offers residents of West Newbury and Merrimac a welcoming and supportive Catholic community of worship. 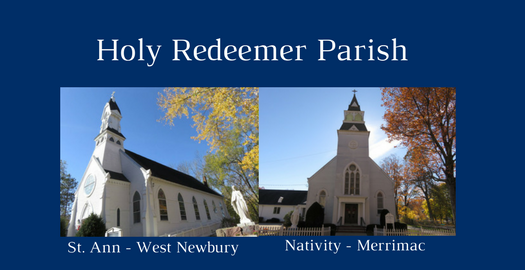 Holy Redeemer is part of what is called the Holy Redeemer/Immaculate Conception Collaborative which was created in 2015 by the Archdiocese of Boston and is made up of two Parishes: Holy Redeemer and Immaculate Conception, and three Churches: St. Ann in West Newbury, Nativity in Merrimac, and Immaculate Conception in Newburyport. Nativity and St. Ann benefit from the collaborative structure, yet they host their own masses which gives each church a local place of worship for members. Holy Redeemer Parish shares resources for religious education as well as other parish programs. Although Holy Redeemer and Immaculate Conception are separate parishes, the Collaborative benefits from sharing their exceptional priests among the three churches. Holy Redeemer members are fortunate to be lead under the direction of Father Tim Harrison and Father George Morin. Members and guests are repeatedly inspired by their devotion to spreading God’s word and their amazing ability to deliver countless sermons that motivate members to prioritize God in their daily lives. Holy Redeemer offers many wonderful outreach programs that help to provide emotional and financial support for people within our community. It is also host to a variety of events throughout the year that help connect members, enabling them to celebrate their Catholic faith as a community. 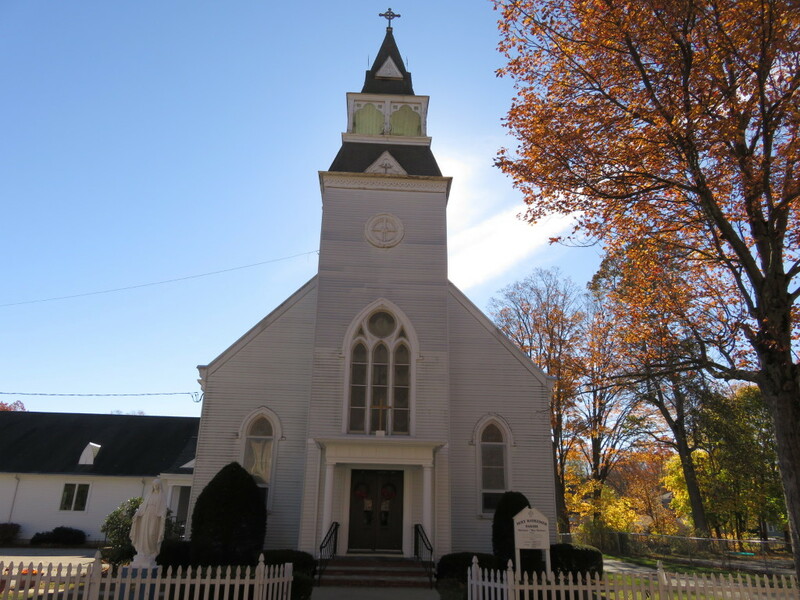 Holy Redeemer is a welcoming and supportive parish offering members two beautiful churches for Catholic worship and many opportunities to enjoy friendship and spiritual connections with others from the West Newbury and Merrimac Catholic community. Contact St. Ann or Nativity if you would like to learn more about Holy Redeemer Parish. You can help support Holy Redeemer Parish by purchasing a Best of Newburyport VIP Card. Holy Redeemer receives $10 from each purchase made on this Newburyport.Com fundraising page. We encourage folks to forward this link to other local friends and family in order to increase donations for Holy Redeemer Parish. Purchase one VIP Card for $25 or two for $40 on the order form below and $10 of your order will be automatically donated to Holy Redeemer Parish.